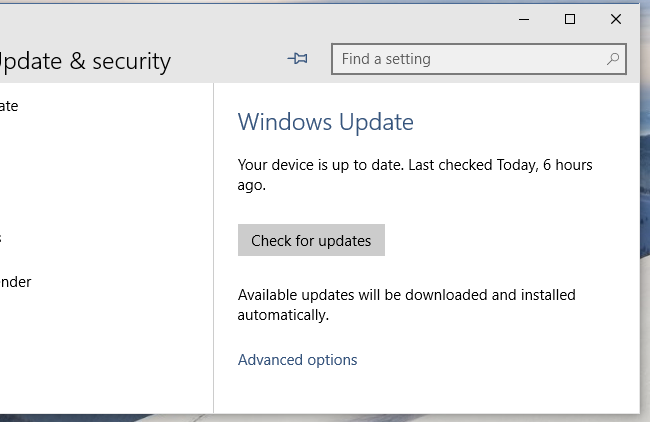 Microsoft says Windows 10 will be “always up-to-date,” and they mean it. There’s no way to turn Windows Update off. Microsoft says feature updates will be tested on consumer devices before they’re rolled out to business PCs. With Windows 10, Windows becomes a lot more like Google Chrome or a web application — it will automatically update. But they’re forcing more than security updates, and Microsoft has a troubling track record with broken Windows updates recently. Windows 10 will be updated more frequently, and with more types of updates, than current versions of Windows. Traditionally, Windows releases saw only security and bugfixes. Occasionally, a service pack would add a few more features — but even those didn’t usually change much. The interface was designed to stay stable for the life of a Windows release. Microsoft has already started updating Windows more often, with the Windows 8.1 Update changing Windows 8.1‘s interface for the better. This time around, Microsoft is committed to rolling out both security updates and feature updates to Windows 10. Most of the included applications will also automatically update themselves via the Windows Store. Microsoft is thinking of Windows 10 as the last versions of Windows, so instead of a Windows 11 or Windows 10.1, we should see feature updates and interface changes appear on an ongoing basis. To ensure everyone is secure and up-to-date on a stable platform, Microsoft won’t allow Windows 10 Home systems to delay Windows updates. 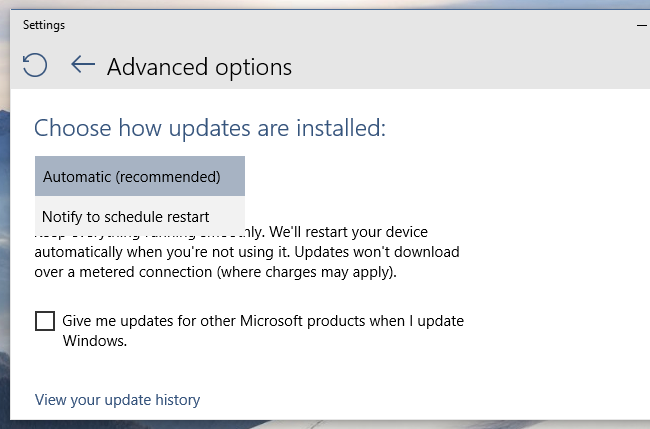 Updates will automatically download, and they’ll be installed when you next reboot, or you can schedule a reboot. You’re not allowed to disable Windows Update entirely, and you’re also not allowed to put updates off if you don’t want to install them. But businesses may not want to get feature updates — only security updates. For this reason, Microsoft detailed several different Windows 10 “branches” for businesses in a blog post titled Windows 10 for Enterprise: More secure and up to date. Windows 10 Enterprise customers can use a “long term servicing branch” of Windows that will receive only security updates, but not feature updates. “By putting devices on the Current branch for Business, enterprises will be able to receive feature updates after their quality and application compatibility has been assessed in the consumer market, while continuing to receive security updates on a regular basis…. Microsoft is promising businesses better stability and compatibility with these feature updates by assuring businesses they’ll be tested on consumer Windows PCs first. That’s a little worrying if you’re using a Home version of Windows. While most computers will come with Windows 10 Home, you’ll also be able to use Windows 10 Professional. You can pay $99 to upgrade a computer from Home to Professional. 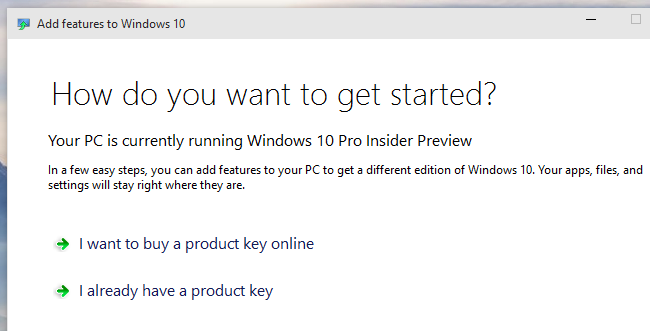 If you were previously using Windows 7 Pro or Windows 8 Pro, you’ll get Windows 10 Professional when you upgrade. It seems likely that Windows 10 Professional will have the ability to switch to the “Current branch for business,” although the “long term servicing branch” will likely be only for Windows 10 Enterprise. However, even the current branch for business will force you to regularly update to new features after a few months — you just get a few months to stay on a stable version of Windows while the changes are tested on all those Windows 10 Home PCs. It’s unclear if this will actually be a huge stability problem. In the recent past, Microsoft has released quite a few broken Windows updates that caused problems on some computers — here are just a few of them. It may be a good idea to delay those “optional” updates on your Windows 7 or 8.1 PCs today, just to ensure they won’t cause problems when you install them. That’s what businesses do by delaying and testing updates. Come Windows 10, you won’t be able to delay these updates on your home computers. However, “Windows Insiders” will still be testing these updates before they reach stable Windows 10 Home computers. That means there will be a public, unstable branch of Windows that big updates like this can be tested in before they’re released to the larger public. 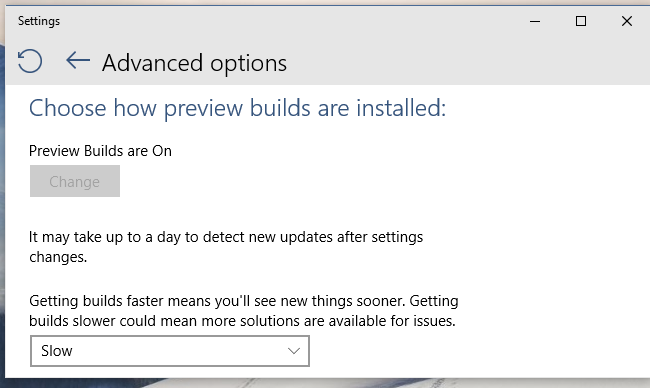 That’s a definite improvement, and hopefully it means those updates will be stable by the time they’re automatically downloaded to Windows 10 Home PCs. Microsoft will also benefit from getting as many people possible on Windows 10 and keeping them on the same Windows codebase. Currently, even someone using Windows 8.1 may have different sets of updates installed and Microsoft has to ensure every possible configuration works. Microsoft is trying to keep everyone up-to-date with the latest security fixes in Windows 10, and that’s a good goal. They’re also trying to keep all Windows users reasonably current with the latest interface changes, features, and low-level developer features. This makes Windows into a more consistent platform. But, with updates automatically installed whether you want them or not, a buggy update could cause problems on many home computers and there’d be no avoiding it. Microsoft will have to improve the quality of Windows updates. Telling business users that changes will be tested on home PCs before they’re made available is a little worrying, with home users forced to pay more for a Windows 10 Professional upgrade if they want those stable, business-grade updates. And, if Windows 10 truly is the last big version of Windows, this means you won’t be able to avoid any dramatic interface changes you don’t like. If Microsoft’s Windows team decides to go off the deep end again and brings in the kind of dramatic, unwelcome changes we saw with Windows 8, there will be no way to cling to the original interface offered in Windows 10 — not unless you’re using the enterprise version of Windows.